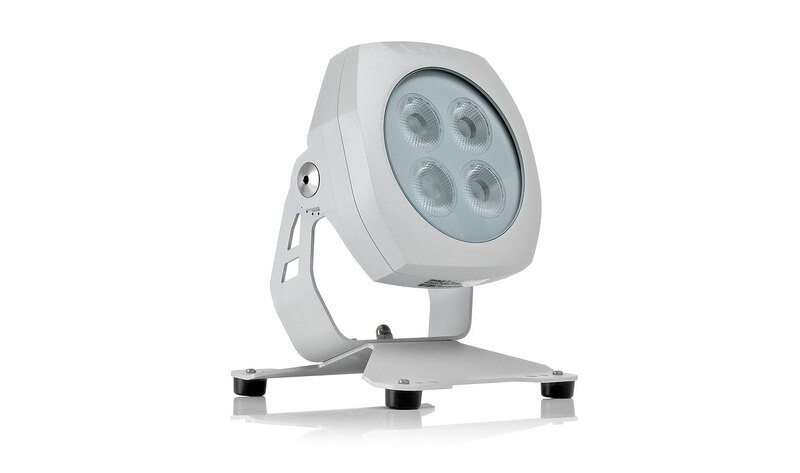 When higher light output is needed from a minimalistic fixture, look no further than the ArcSource™ Outdoor 16MC. Producing just over 1200 lumens, and the ability to have a very narrow beam angle, the fixture is the natural choice to uplight, downlight or graze a façade. The ArcSource 16MC utilises the best in LED technology allowing transitions of colour to be smooth as well as eye-catching. Smallest of the outdoor multichip family, powerful and robust used with remote ArcPower driver.